Planning a visit to Antarctica is an exhilarating process yet although choosing the right insurance cover for your trip isn’t nearly as glamorous as choosing which cruise ship or flight option you’ll take, it is just as important. If not more so. Frequent travellers attest to insurance being one of the most important components of any trip, be it to the country next door or, in this case, to the end of the world. And as you consider visiting the most remote, hard to reach and inhospitable place on earth, the right insurance cover plays an even bigger role. Evacuations from Antarctica over the last few years have highlighted just how imperative it is to be fully covered for all eventualities this far south. Because as exciting as a visit to Antarctica may well be, you do want to remember it for all the right reasons. 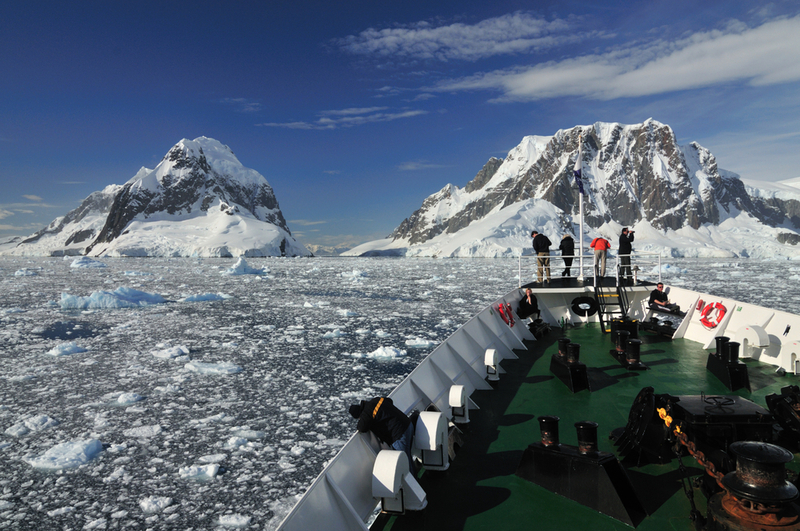 An expedition to Antarctica is, for many, a once-in-a-lifetime experience. It’s essential to protect your investment, and yourself, with the right insurance policy. We’ve compiled this handy guide about the best Antarctica travel insurance for Australians, to better help you choose the right cover for your trip. Is a travel insurance Mandatory when visiting Antarctica? While it’s technically not mandatory to buy insurance cover when visiting Antarctica, you’ll be hard-pressed to find a single responsible tour operator who doesn’t demand it. And for very good reason. Due to the remoteness of the destination, medical attention and evacuations are exorbitantly expensive, so much so that many – operators and past guests alike – deem it ‘insanity’ not to purchase insurance cover when visiting Antarctica, especially when one is investing large sums of travel-funds to travel there in the first place. For the great majority of Antarctica tour operators, insurance is indeed mandatory, although the level of cover demanded can vary a great deal. This is when it pays to read the fine print when booking your expedition so that you’re fully aware of what kind of cover you are required to have. If you’re not requested to have suitable insurance at the time of booking, it’s highly advisable to contact your travel agent immediately and ensure that everything is in order. When booking travel insurance for Antarctica, make sure you are covered from the moment of purchase, thus covering yourself for a possible cancellation of your trip. It is always wise to purchase insurance at the same time as booking your trip – just in case any unforeseen circumstances stop you from travelling. What should I be covered for? Any travel insurance policy you purchase should cover you for accidents, emergency evacuation, sickness, loss of baggage and belongings, as well as alterations to your pre-booked travel plans due to local issues, and disruption to travel. Bad weather – When undertaking an expedition to Antarctica, there will be many things that are outside your control, and insurance should cover you accordingly. They say that weather cares for no man and this is definitely true in this part of the world. Trip delays and unforeseen disruptions are not uncommon in Antarctica – mainly due to weather and sea conditions – so a solid insurance policy which covers bad weather is an absolute must. Activities – Considering there’s a tonne of fun stuff you can do in Antarctica (just take a look at the 10 Best Things to Do in Antarctica), it pays to have insurance which covers you for all the fantastic additional activities you can indulge in, including camping, kayaking, SCUBA diving and more. This is arguably the most important aspect of your insurance policy: make sure you know exactly what you’re covered for. Interestingly enough, you’ll discover that many insurers will rarely openly list all these kinds of extra-curricular activities, so it is up to you to investigate your policy thoroughly, and ascertain if your intended activities are covered. And be warned: some Antarctica travel insurance policies stop covering you the moment you disembark your expedition cruise ship. So look for one that doesn’t. Specific destinations: It’s important to find a policy that will cover all your intended destinations in Antarctica. Some policies, for example, may not cover for travels further south than the Antarctic circle, so if travelling to East Antarctica or undertaking a Polar Circle expedition, you’ll need to find a policy which will cover those too. Emergency evacuation – If there’s one emergency you really ought to be covered for, it would have to be evacuation and repatriation back home. From the furthest reaches of Antarctica, the difficulty and expense of such a (still rare) event carries mind-boggling costs. For Australians, it’s recommended that the cover for evacuation and repatriation amount to no less than AUD $1,000,000. Many operators will demand a policy with unlimited coverage for emergency evacuation. Monetary level of cover – This is a highly subjective topic, although tour operators and ships do dictate a minimum amount of cover, both for delays and evacuation insurance. The amount for which you are required to have cover is something you can enquire at time of booking, although what you should choose to have can indeed be higher. As an example: imagine your trip is delayed at port by quite a few days, so many in fact, that you must now return home due to time restraints. A standard ‘trip delay’ payout on many policies could well be only AUD $500…but you certainly wouldn’t be happy with that if you’ve forked out AUD $25,000 for the trip. Insurance policies for Antarctica expeditions are standardised, so it’s up to you to find a level of cover that you’re comfortable accepting, aside from the mandatory amounts dictated by your tour operator. Transit – If your itinerary involves departing from destinations in Argentina, The Falkland Islands Uruguay, or Chile, you must ensure you are covered whilst transiting to your cruise/flight of choice. Also please note that if you are an Australian booking an Antarctic cruise from Australia, your regular health insurance is not enough! You also need to have evacuation insurance and a specific policy that will cover you for all the above scenarios. Who should I book Insurance with? When it comes to purchasing insurance for expeditions to Antarctica, we recommend going with well-established insurers with commendable reputations. Personal recommendation from friends or family members who have been bodes well, but so does surfing the web for forums on the subjects. These Tripadvisor and Whirlpool forums, for example, contain a lot of useful info as travellers share their personal experiences and information they have gathered. You can use an online insurance calculator (like compare the market ) to swiftly compare quotes, before delving deeper into the fine print of each policy. At the very least, you’ll see which companies deal with Antarctica expeditions, so you can research each one individually. Your country of residence will play a big part in which insurance covers are suitable, so make sure to include your country of origin, as well as age and medical conditions. Another word of warning here: many Antarctica insurance policies will claim to offer you cover which runs in the millions of dollars for medical emergencies, and the tens of thousands for loss of personal belongings (forgot to consider insuring your expensive camera gear? It’s never too late!) yet it’s only upon studying the fine print that you discover endless exclusions, such as for pre-existing conditions or purchase of second-hand goods. We really can’t stress enough how important it is to know exactly what insurance cover you’re purchasing. Ask your tour operator – Of course, all tour operators dealing with expeditions to Antarctica will have their preferred insurers, companies they have used for many years, whom they trust wholeheartedly. Should you still be confused by the end of your search, and be none the wiser, do trust your tour operator. If they are responsible, professional and experienced in Antarctica voyages, they’ll be working with an insurance company to match. Here at Chimu Adventurers, we are your Antarctica experts (not insurance experts!) but we will endeavour to help you find the insurance cover which suits you best. We work with several travel insurance companies that will cover you for your Antarctica expedition, depending on your circumstances. For a consultation, contact our experienced staff today. 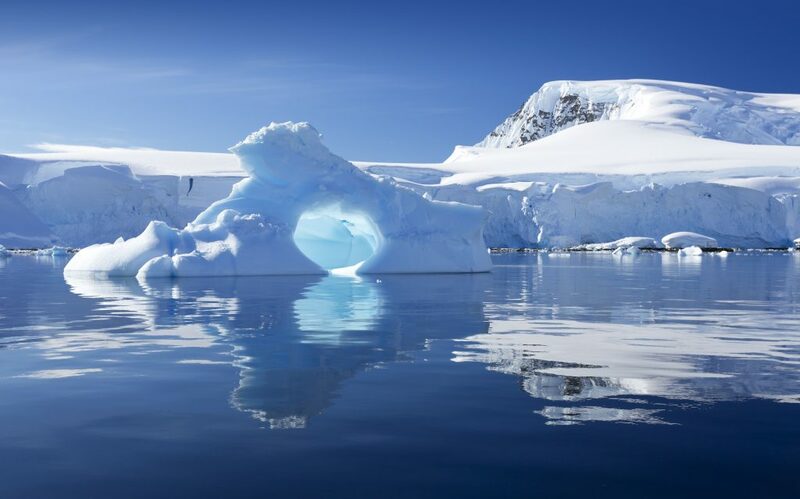 If you are looking at another policy which you have found yourself, please speak to our destination specialists to see if the cover is sufficient for the cruise or Antarctic experience you are taking. We would also be more than happy to find you an insurance cover policy, even if you’re not traveling to Antarctica with us! 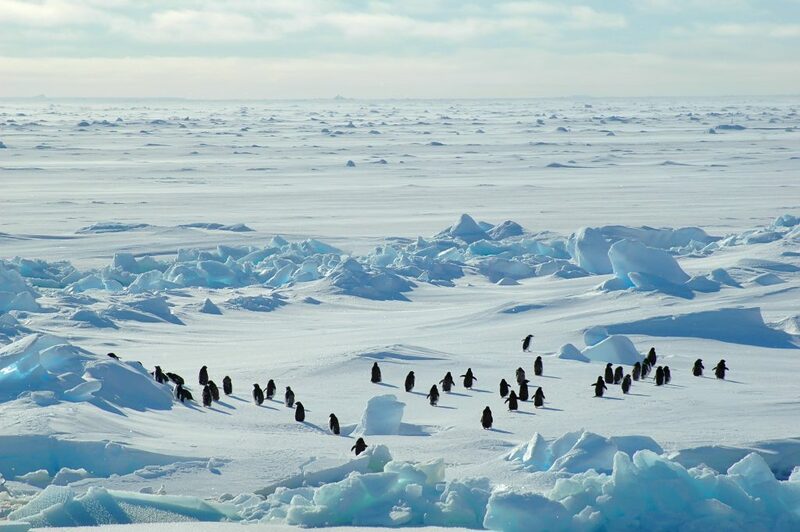 Booking a trip to Antarctica can be daunting, but it really doesn’t have to be – the right insurance cover will ensure the only thing you have to worry about, as you set off to explore the icy wonders of this incredible continent, is just how many unforgettable experiences you’ll have and memories you’ll bring home. The right insurance will take care of all the rest. And finally, make a cuppa and have a read of our comprehensive Antarctica Resource Centre collection, which details all the possible ways you can reach this incredible continent, the costs involved, the best cruise ship to choose and the time-frames involved with an expedition to the end of the world. If you are interested in knowing more about life insurance for seniors check out an excellent guide to over 80 life insurance. For everything else, simply contact us for more info.